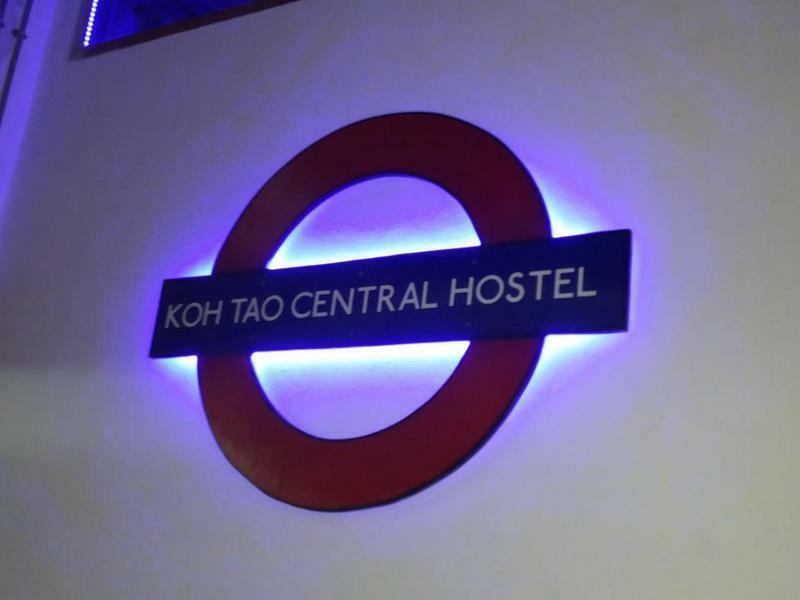 Koh Tao Central Hostel is centrally located in Mae Haad just 50 metres from the beach and piers and 10 minutes walk from Sairee Beach. NO TAXI NEEDED FROM THE PIERS! Central Hostel reception and service inside Island Travel are available, making your stay enjoyable. Partition walls between each bed are designed for your privacy and comfort. Each bed is equipped with a reading light and socket for charging phones/ laptops etc. Two separate networks of 24 hour free WIFI are offered. Secure lockable lockers are provided for personal belongings, management provide a key but we also encourage you to use your own padlock for extra security. Note: there is no indoor common area. We have two balconies and an outside deck with cushions. Across the street there is the Reef bar with free pool table and a 10% discount for hostel customers. If you arrive by Songserm, Lomprayah, Car Ferry or Nightboat you turn to the left as you dismbark from the ferry then turn right at Cafe Del Sol/ Safety Stop then walk up the road 30 metres and the hostel is on the left hand side directly opposite the Reef Bar. If you arrive by Seatran you simply walk straight up the road in front of you 50 metres and the hostel is on the left hand side directly opposite the Reef Bar.